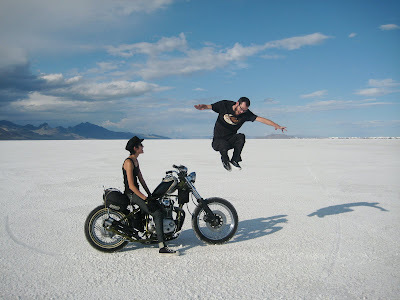 we rode out to the salt flats last weekend for speed week. there was some rad stuff out there, people going way faster then they should be. we had a great time, camping out, the car show, goofing around on the salt, what a blast. here are a few shots we wound up with. I am so mad i did not make time to go out this year. Next year fo sho. 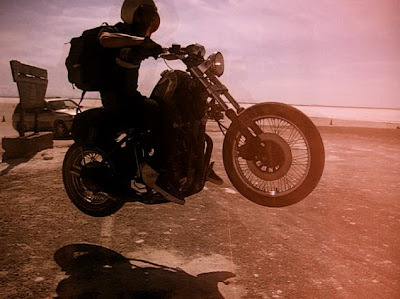 Bike looks great on the salt! sparks next year you gotta come! you still have to come pick up your sweat shirt.